In commercial real estate brokerage, you need to have a comprehensive database of prospects that you can connect with regularly and directly for any property related reason. The client or prospect list should be split into groups, zones, prices, rents, timing, and many other categories that will allow you to find and match the right people to the right listings. People are important in our industry. Those people should know you, respect you, and trust you when it comes to commercial property information and activities. Professional communication and constant contact over time will help you achieve those targets. Most brokers and agents can’t get the ‘constant contact’ issue under control. Can you be better than the rest? 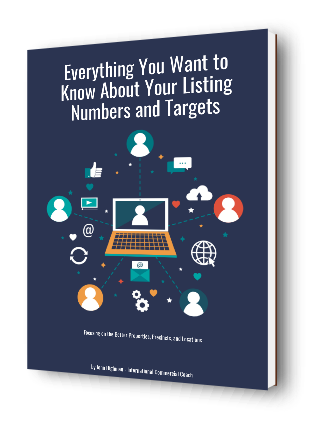 Your prospect list is perhaps the most important business tool that you have. It really doesn’t matter what brokerage you work for today, as the brokerage will only contribute to perhaps only 25% of your business momentum and conversions. 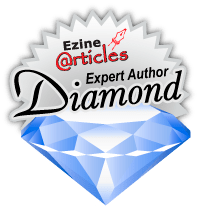 Everything else is personally generated and your database and prospect list will be firmly in the middle of those activities. If you are struggling with business activity, property listings and high value clients now, and take a serious look at your prospect list, its size and its accuracy. When you put people into that list, the communication process starts over a period of months and years; the way that you communicate and the professionalism of the process is really important. The best clients in your local property market should be in that list. The levels of trust that you create over time will help those people remember you at the right time and in the right way. That should be the ultimate goal to strive for as part of client contact over time. Investors local – research all of the major buildings in your location. Identify all of the investors involved in each of the major buildings. Connect with these people through direct and relevant contact processes. Provide market updates to the investors. Given that the property market changes throughout the year in different ways, so will the opportunities and elements of focus for the local investors. Split these people into groups across the property types, the locations, and the aspects of timing. Understand when they need to shift and change their investments or expand their portfolio. Business owners – the local business owners will have challenges with property occupancy and ownership. Establish a direct contact process into all of the local businesses and the decision makers in each case. Help them understand what is happening when it comes to recent property prices, rents, and also the factors of future supply. Show them the case studies of recent sales and leasing activity within the location, and encourage dialogue when it comes to business relocation or property change. Most business owners today have little or no understanding when it comes to commercial property investment and ownership. They lack the resources to understand the levels of recent activity. They are usually focused totally into their business activities and income generation. You can help them match their business targets into property occupancy and ownership. Ultimately that can help them improve their bottom line from their business in its current location and/or any other new location. Local area specialty – determine the geographical area where most of your business should be coming from today and into the future. That will be the primary zone of property opportunity over time, that is to both you and your brokerage. Delve into that zone comprehensively so that you understand exactly what is happening when it comes to property changes, precinct changes, and future supply. Connect with all the local property developers that could be considering a new project or a renovation opportunity. The changes to prices and rentals, together with the cost of vacant land will allow property developments to start and/or change in the local area over time. A new property development will always be possible providing there is a viable balance of the economics of site acquisition, construction costs, and local area demand. When you specifically focus into the local area and property type, you will know those factors and the opportunities for new developments can be found. Online marketing and social media – we all know that the listings of today will be promoted online in a number of different ways. The same strategy should apply to brokers and agents at an individual level. Consider how you are using social media today, and don’t just promote your listings online. Provide valuable local area information and case studies into the social media networks that you have currently available. Understand how to use the social channels more effectively and directly, and in so doing provide the information that business owners, investors, and developers would find useful. As the local area specialist, you really do need to have a story and a message to spread online. That is an individual marketing process.